Juha Lavapuro ist Professor für Öffentliches Recht an der Universität Tampere, Finnland, and Mitgründer des finnischen Verfassungsrechts-Blogs Perustuslakiblogi. The legality of mass surveillance has been in severe troubles ever since the the judgment of the CJEU in Digital Rights Ireland. Even though some member states have purported to decrease the domestic effects of the CJEU’s ruling by enacting national surveillance laws, courts are increasingly overruling them on constitutional grounds – often with references to CJEU’s judgement in Digital Rights Ireland. The Finnish Government, however, wants to swim upstream. In order to satisfy the intelligence wish lists of both the Ministry of Defence and the The Finnish Security Intelligence Service (SUPO), the Government decided in August 20 to start preparing a legislation that would authorize both the military and the SUPO to use electronic mass surveillance for intelligence purposes. Although this work has just started, one may already presume that the prepared legislation will be based on Ministry of Defence Working Group Report on the Guidelines for Developing Finnish Intelligence Legislation, which was published in January, and which is available also in English. Based on those guidelines, the new intelligence legislation would be about “detecting and identifying of serious threats to national security”, “enabling their combating”, and about improving “the ability of the senior government leadership and the security authorities to obtain information on such threats and on developments in Finland’s security environment.” Hence, the surveillance would not occur for the purposes of preventing, detecting or investigating crimes but – to quote the Guidelines – for the purpose of “information acquisition from public and non-public sources” in order to “explore and increase understanding of a variety of threats, risks, opportunities and changes within a country and beyond its borders.” For telecommunications, this would entail surveillance of “overall volume of traffic” in order to isolate from it “the information that is relevant for national security” through use of “well defined search terms or descriptions of actions threatening national security”. If everything goes as planned in the “Guidelines”, potentially all network traffic in Finland would be subject to surveillance. At the initial stage of an operation, all messages in the selected telecommunications channels would be compared to the search terms based on identification data. At the second stage, messages screened on the basis of the first stage search terms would be brought to manual, i.e. content based analysis. Up until now, there has been one significant domestic obstacle for this kind legislation. Namely, Section 10.3 of the Finnish Constitution includes a categorical list of permissible limitations to the secrecy of confidential communications: only such limitations to confidential communications are permissible, which are “provided by law” and which are ”necessary in the investigation of crimes that jeopardise the security of the individual or society or the sanctity of the home, at trials and security checks, as well as during the deprivation of liberty”. Although the strict wording of the Constitution has not prevented the Finnish Parliament from enacting legislation that authorizes police to intercept telecommunications and monitor traffic data not only for the purpose of crime investigation but also for the purposes of prevention or detection of crimes, these powers are only available in cases where there exists a concrete suspicion that the monitored person has committed or will commit an offence, or where there exists a concrete and localizable threat to life or health. For Finnish intelligence service and military, existing powers do not suffice. For that reason, the Government has now decided that while Ministry of Defence and Ministry of Interior affairs will jointly draft the bill for intelligence legislation, the Ministry of Justice will take care of the constitutional problem by way of preparing a constitutional amendment. According to the Government’s decision last month, the Constitution should be amended, albeit within the framework of Finland’s human rights obligations, to allow for ordinary legislation that limits confidential communications for the purpose of protecting national security. The Government decision was immediately criticized by constitutional scholars. Among others, Professor Martin Scheinin of EUI emphasized that the constitutional change would not be about cosmetics anymore, but that it would mean a significant weakening of existing constitutional rights protections for the purpose of creating NSA-type surveillance scheme. Indeed, even though the proposed intelligence law will probably prove to be in conflict with EU law and Finland’s international human rights obligations – a problem that clearly cannot be abolished by constitutional amendments – the very idea of a constitutional amendment founded on the idea of establishing a system of mass surveillance should be understood as alarming and disruptive per se. This disruptiveness would not stem merely from the fact that the amendment would mean a significant departure from the emerging European legal awareness against mass surveillance. Nor would it be related solely to the fact that Finnish Government seems to be willing to take a momentous step away from the rights based path of constitutionalism which Finland has followed since late 1980s when the country joined European Convention on Human Rights. The most serious problem, which has significantly greater constitutional relevance, would be rooted in the ratio legis, the background reason, of the now proposed constitutional amendment. The ratio legis of the amendment is to provide a sweeping constitutional justification of national security based mass surveillance. For this reason, it is not just as if the privacy clause of the Constitution of Finland would be changed in order to make it formally equivalent with the Article 8 of the ECHR that also allows for “national security” based interferences. Instead, by explicitly purporting to provide a general constitutional authorization for security based mass surveillance, the amendment would essentially inject an all-encompassing national security based derogation to the core of the fundamental rights system. The form of constitutionalism that results from this kind of change would reverse the traditional grounds of legitimacy as set forth by the constitutions and human rights treaties: instead of providing one possible but narrowly interpreted ground for restricting right to confidential communications and protection of personal data, national security would occupy the position of a main rule while the constitutional right would wither away to a narrowly applied exception. In essence, the amendment would securitize one of the key fundamental rights of our time, and create a permanent state of emergency within it. As far as this will be the case, the amendment would amount to an anti-thesis of modern constitutionalism. It might well be that some would define it as not law at all. 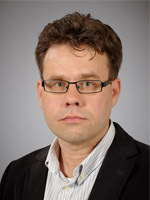 SUGGESTED CITATION Lavapuro, Juha: Finnish Government and the Desire to Constitutionalize Mass Surveillance: Toward Permanent State of Emergency?, VerfBlog, 2015/8/31, https://verfassungsblog.de/finnish-government-and-the-desire-to-constitutionalize-mass-surveillance-toward-permanent-state-of-emergency/.